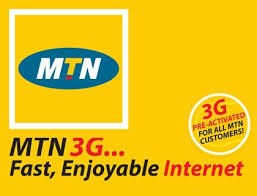 Mtn Nigeria is one of the main and leading providers of data network and mobile service data in Nigeria. In this publication we will be looking at MTN newest data deal to its customers. This data deal is specially designed for you to chat, stream video online, download as you like. I must say browsing the internet has been made easy by cheap data plans offered by Nigerian Telecommunication services. How can i subscribe for MTN 500MB for #500? Note: It is not Auto renewal, you need to activate it by yourself, each time you want.